At a time when all of health care is seemingly in transition, nowhere may the change be greater than in this “remote” field. Telehealth, the delivery of care, consultation, and information using communication technology, is becoming a more widely accepted practice across the United States, affording health care access to patients who reside in rural areas or who otherwise cannot be seen in person by a provider. Demaerschalk adds that patients must fully understand the telehealth process and its associated risks and limitations, and sign all consent forms in advance of the consultation. The telehealth field is dynamic, and physicians and researchers are investigating ways for it to provide even broader benefits. One such researcher is Bert Vargas, MD, a neurologist at the Mayo Clinic in Phoenix who is exploring new uses for telehealth consultations and interacting with a broader scope of patients. An expert in the study of concussions, Vargas leads a research team that recently launched a study on the efficiency of telehealth in diagnosing concussions in football players from the sidelines. In the study, a remote neurologist uses a portable or robotic unit to conduct neurological exams on players who have suffered a possible head injury. According to Vargas, telemedicine units are used as part of the general neurology consults for concussion in rural Arizona. These devices, some of which are robotic, have video monitors and high-tech cameras that can be controlled remotely to allow a physician to interact with and assess a patient. Vargas goes on to explain that what he and his fellow researchers hope to understand is whether they can accurately and safely make a remote concussion diagnosis and recommend when a player is safe to return to the field. “No one has yet been able to determine telehealth’s safety for return-to-play issues,” he says. “Our question is, using telehealth, can we identify when someone is normal, as opposed to when someone is not normal. Once we have more of a body of experience, then we want to be able to extend this course of treatment to those rural high schools that lack the technology and health care personnel. Schoenberg believes there are several interesting trends developing within telehealth. 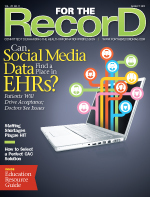 “The impetus for telehealth has generally revolved around costs rather than access. The key driving principle was to be more fiscally responsible,” he says. “Along with that came the newer opportunity to make patients’ lives easier. For patients with congestive heart failure or behavioral health issues, for instance, making it to an office visit isn’t easy. Telehealth benefits those patients and the system that cares for them—a rare win-win.